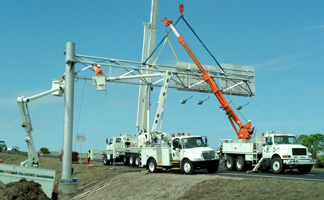 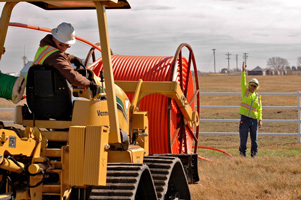 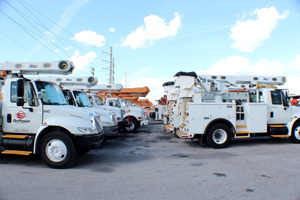 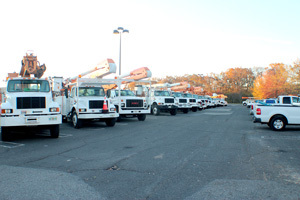 OnPower owns and maintains a large and diverse fleet of equipment geared toward providing a wide range of overhead and underground electric utility and public infrastructure based services. 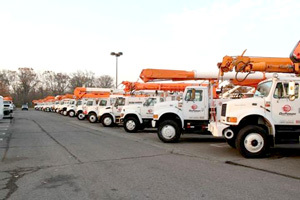 Our trucks and equipment are well maintained and fully equipped with proper tools and safety equipment necessary to perform our work safely, efficiently and professionally. 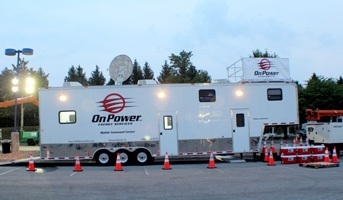 OnPower also leverages the most current technology and advanced information systems to monitor, track and manage our extensive fleet of equipment and to provide real-time data and on-board data communication and information to our personnel. 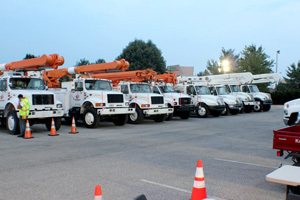 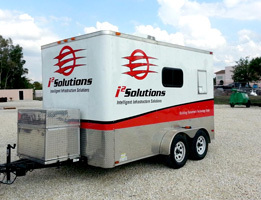 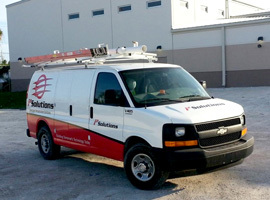 All of our vehicles and trucks are equipped with advanced GPS tracking, radio communications, computerized dispatch and on-board data communication systems that are connected to our state-of-the-art fixed based facilities and mobile command center. 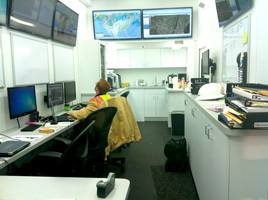 These systems provide instant information, effective communications and gives us the ability to efficiently integrate every aspect of our business operations into uniform, well coordinated and highly efficient sets of workflows. 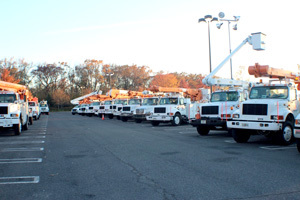 The result is our ability to provide services to our customers with unparalleled levels of efficiency, accuracy, accountability, and safety. 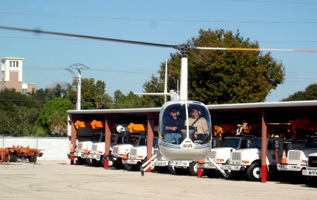 OnPower also maintains a fleet of fixed-wing aircraft and helicopters to provide rapid deployment of key personnel, logistics support and aerial damage assessment.